The heat didn’t matter to Kadija Christie on Saturday. 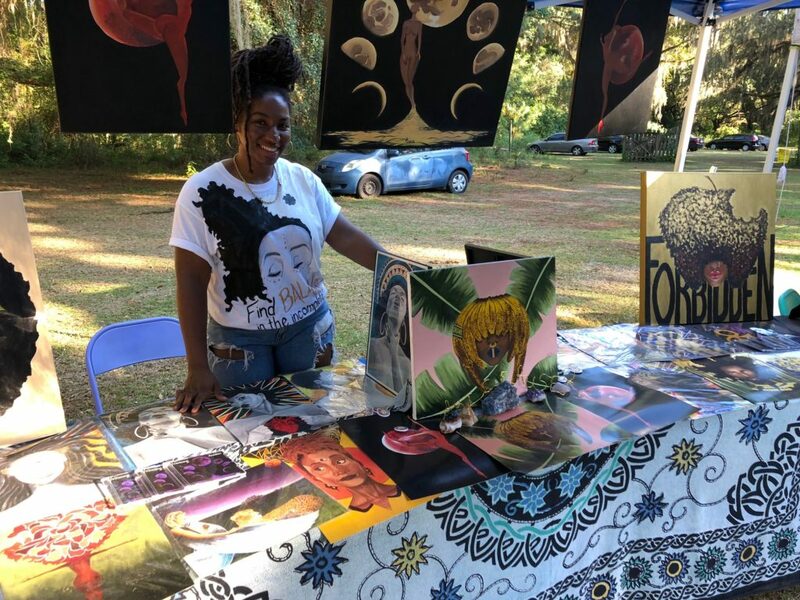 She was doing something that she is passionate about — selling her portrait art and performing her newest song on stage at the Fuzzy Pineapple Arts and Crafts Festival. Christie was one of several artists who displayed their work at the Fuzzy Pineapple Festival. She might not be well known locally, but her work has been a hit with celebrities around the country. Known locally as “Ausetiri,” Christie has been recognized on social media by the likes of big-name singers such as Erykah Badu, Issa Rae and Lauryn Hill for portraits she’s made of them. Saturday’s event was the fourth time Nefetari Dennard, founder and CEO of The Fuzzy Pineapple brand, presented the festival. It attracted artists and vendors to sell their unique, hand-crafted pieces. Many of the artists were showing their work publically for the first time. “Our target is newbie artists and students to introduce them to the festival world,” said Dennard. “For a lot of people here it is their first time vending their pieces, merchandising or setting up a tent because they were just thinking maybe somebody will buy it. 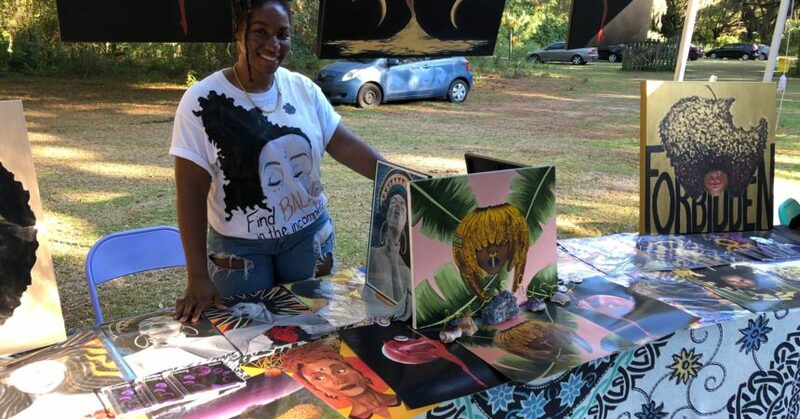 Dennard, a graphic designer, said she created the event to give other artists a platform to showcase their hand-made work in a festival setting. “I’m also a vendor so this is definitely a vendor-friendly event,” she said. “I wanted to bring this type of festival to Tallahassee because I was inspired by trying to get into the Renegade Craft Fair. Sunni Speaks traveled from Atlanta to give a demonstration on vegan cooking. Jeremy Sha, another sponsor of the event, took time to work the sound board for those who performed live.